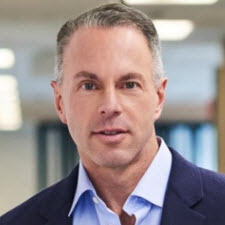 eBay CEO Devin Wenig did not seem overly concerned with current US-China trade and postal issues when speaking with Wall Street analysts on Tuesday, despite the company's exposure - in 2014, he referred to eBay's "really big China export business to Europe and the United States." During Tuesday's call, he outlined several ways eBay has helped its Chinese sellers importing into the US. "A majority of our China inventory is now warehoused in the United States," he explained in response to a question about tariffs. "Obviously they're not our warehouses, but we've helped our Chinese sellers with warehousing domestically, so that wouldn't be subject to those quarters." He said tariffs on Chinese goods had had very little impact thusfar. "Most of the tariffs have been consumer goods, and we haven't seen very much." With regard to USPS postal changes impacting Chinese imports, he said "it's a little early, we're pretty well positioned if those changes take fruition." Wenig referred to SpeedPAK, a new shipping service eBay rolled out to help Chinese sellers reach US consumers through multiple delivery options that would not be subject to proposed postal changes, a reference to the Trump administration's decision to pull out of the Universal Postal Union and "self-declare" higher rates for goods coming from China. "I wouldn't say there is no impact, but actually, in some ways, if the changes happen for everyone importing China inventory, we think we're about the best positioned given that we've been in this business for a long time, and we've taken a lot of changes to shrink time and distance and costs for Chinese sellers and build diversity at the last-mile." Some might wonder if Wenig is tone-deaf to the current political environment. A sign came today that the administration has not finished taking economic actions in response to what it sees as the China threat, with the potential for more collateral damage to retailers. The United States Justice Department launched the China Initiative to combat what it called "Chinese economic espionage against the United States," which it said has been rapidly increasing. Among the goals of the DOJ's China Initiative is to "Evaluate whether additional legislative and administrative authorities are required to protect our national assets from foreign economic aggression." Wenig also appeared oblivious to the concerns of eBay's US sellers who resent what some perceive as its favoritism to Chinese sellers that harms their own exposure in the marketplace, resentment that is being fueled by the political rhetoric. So they are warehousing Chinese goods from China. So the minute those goods are shipped from the US to a US address, they should be subject to US postage rates. This is where they are committing fraud and this needs to be where the axe falls. They should have to pay what we pay for shipping if they are shipping from US soil. I'm so terribly sick of propping up a country that is eating us alive. And watching this jerk do it to us. It’s not merely “perceived* favoritism (as in lax enforcement of restricted site policies), eBay is _directly_ investing in up manufacturing operations in China through a partnership with China’s government known as the Fuzhou Pilot Free Trade Zone – a massive ecommerce incubation, training, recruiting, manufacturing, and logistics campus in Fujian province. For merchants like Zamo-zuan, eBay *will* be competing with them, just one step removed. Google the “Thousand Sails Plan”. I suspect it is certainly tens of millions involved, and may well be hundreds of millions of dollars. Like VC startup investors, or someone looking for Cuban to write them a check on Shark Tank, eBay isn’t running the show, but they are investing capital to fund the operations. For eBay to say they aren’t competing is bullsh*t.
Which word in that sentence does not belong there? I choose Mexico. . .
Wenig will have to wait until January 23,2019 to see if he is nominated for an Oscar. Good luck Devin! And to think the idiot in the White House thought Bezos/Amazon was screwing over the USPS. Tone deaf? I hear that he has absolute pitch as it relates to a Mandarin accent and the closing bell on Wall Street. Definitely tone deaf as it relates to the voices of his small and medium US sellers. "we've helped our Chinese sellers with warehousing domestically, so that wouldn't be subject to those quarters." THAT statement tells you all you need to know about eBays cares and concerns for its US based smaller sellers. Simply - they just dont give a damn - no new news..
Wheres a good lawyer when you need one? These "warehouses in countries all over the world" are filled with Chinese goods. Yes. There is no way that ebay did not buy these goods. They helped their Chinese sellers by buying these goods. I consider him nothing more than a traitor. I never thought I would be repulsed by someone more than JD. Yet, here we are. This guy is the worst and is killing ebay. There has to be a site-in-waiting to challenge ebay. The site would likely crash in the 1st 30 minutes from new sign-ups. Hey Wenig even the stuff from China in the US Warehouses has to be shipped from China to the Warehouse it's being stored in - tariffs will be attached to many of those products. How about creating a speedpack for the US sellers so we can ship to the rest of the world? China sellers get a subsidized speekpak, US sellers get the ridiculous prices of the global shipping program. I agree. The only thing I buy from China are Ring boxes with Free Shipping. Last time I ordered, two of the orders came within a week and there was nothing US on the label. The rest took the usual slow boat. In any case, anything that comes into the US from China is potentially subject to tariffs. Warehouses shouldn't make a difference if the item says "made in China". Wenig certainly thinks he's above everyone and everything....so he'd certainly feel he's above the law. Actually I think E-Chinabayazon is more fitting. For the next couple months there will be a few bucks made from fees, ad revenue and shipping, then a flood of returns, so they will make a bit on that. Then goober will announce how great the holiday shopping season was and stock might make it to $32. The best part is to see what kind of stupidity will roll out of his mouth, or perhaps the multiple investigations. A lot of investors advocate groups are digging around right now and what he says isn't quite adding up. He's a liar, but not a very good one. I think that the more he says the worse it gets. I'm no CPA...maybe one can chime in. This link shows ZERO inventory at the end of 2017. How to reconcile "A majority of our China inventory is now warehoused in the United States" with the balance sheet? Does ebay have inventory or not? If they do and don't list it, what's the impact?